Time for another trio of mini-reviews! I’ll start with The Sea Road West, a 1975 novel by Scottish author Sally Rena. Set in a small community in the Scottish Highlands, the novel begins with the death of the parish priest, Father Macabe. It’s not long before a replacement arrives, but Father James, being young, idealistic and English, is not quite what the people of Kintillo were expecting. Struggling to settle into his new home and job, Father James is sure that he is destined to remain an outsider; the only person with whom he feels any connection is Meriel, the granddaughter of the elderly Laird. As his relationship with Meriel develops, there is a sense that it can only end in tragedy for everyone concerned. I found this a strange and atmospheric story. Although it’s short enough to be read in just a few sittings, the pace is slow, with not much actually happening until the final pages. Instead, the focus is on the characters; there are not many of them, but as well as Father James and Meriel and her family, we get to know Miss Morag, the eccentric housekeeper obsessed with memories of Father Macabe, and Magnus Laver, a retired doctor with an unhappy past who lives alone in a tiny cottage and seeks solace in alcohol. They are not a particularly likeable assortment of characters and the overall tone of the novel is quite a sad, melancholy one. There are some nice descriptions of the Scottish countryside and coastline, though, and an exploration of one of my favourite themes – the coming of change and progress to a community which still clings to the old ways and old traditions. 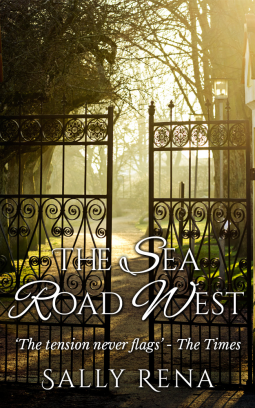 The Sea Road West was an interesting read, but the next book I’m going to write about here, Circle of Pearls by Rosalind Laker, was more to my taste. Set in 17th century England and spanning the eventful period of history from the end of the Civil War through to the Restoration, the plague and the Great Fire of London, this is the story of the Pallisters, a Royalist family who live at Sotherleigh Manor in Sussex. Being on the losing side in the war, the family go through a great deal of turmoil during the years of Oliver Cromwell’s rule before King Charles II is restored to the throne and their fortunes change again. There are several romantic threads to the story; our heroine, Julia Pallister, is in love with her brother’s friend, who happens to be Christopher Wren, the architect and scientist who would become famous for redesigning St Paul’s Cathedral after the Great Fire, but she is also romantically involved with the son of a neighbouring Roundhead colonel. Meanwhile, Julia’s brother Michael rescues a young woman from being hanged and brings her home to go into hiding at Sotherleigh – but before their relationship has a chance to go anywhere, he is forced to flee the country for exile in France. There’s more to the story than the romance, though. I loved the drama of the plague and Fire sections, the triumphant return of Charles II to London, and the descriptions of the ribbon-making business Julia establishes. On the negative side, I thought the book felt longer than it needed to be and there were too many changes of perspective, sometimes several times within the same page, making it hard to become fully absorbed early on. 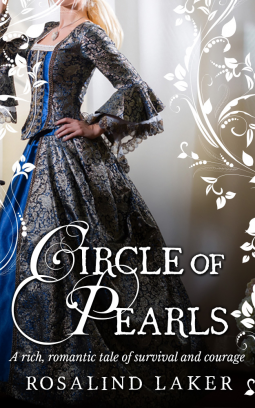 Although I did enjoy Circle of Pearls, I think it suffered from being read too soon after Pamela Belle’s excellent Wintercombe, which is also set in an English country house during the Civil War and which, in my opinion, is a better book. 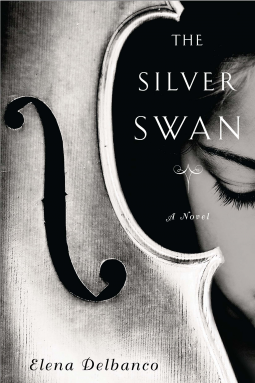 Back to a modern day setting with the final book I want to discuss in this post, Elena Delbanco’s The Silver Swan, one that I think will particularly appeal to classical music lovers, although with a plot involving secrets, lies and family drama, there’s enough to interest non-musical readers too. When Mariana’s father, the world-famous cellist Alexander Feldmann, dies just days after his ninetieth birthday in 2010, Mariana expects to inherit his beloved cello, a Stradivarius known affectionately as the Silver Swan. However, when the will is read, she is shocked to learn that he has left the valuable instrument to Claude Roselle, one of his former students. The fate of the cello brings Mariana and Claude together and as they get to know each other and to understand the reasons for Alexander’s choice, Mariana must decide whether or not she is ready to give up her claim to the Swan. The Silver Swan is not a bad novel – it’s quite a pageturner in fact – but I finished it with a mixture of positive and negative feelings. Half of the novel is written from Mariana’s perspective and half from Claude’s (in the form of alternating chapters) which I thought worked well as they are both equally important to the story. However, I struggled to engage with either of them; they didn’t seem like real people to me, although that could be partly because the world they live in is so different from my own that I just couldn’t identify with them. There are some plot twists, but I found them too easy to predict and wasn’t at all surprised when the truth was revealed. Anyway, this was a quick read and one that I enjoyed without feeling that it was anything special. I’ve not read any, nor do I feel especially tempted by one, but I did enjoy reading your responses to them. Your comments on the Sally Rena novel recall my feelings on reading a Kate O’Brien Irish novel (her debut) for Reading Ireland; it was a perfectly fine novel but I felt it moved slowly and as though it was written for another reader entirely, even though on the surface of it there were many reasons why I might have connected with it too. Were all of these shelf sitters, or did you have other reasons for choosing each of them? Shelf sitters – they had all been on my TBR for a few years and I decided it was time I read them. I had no reason for grouping them together in one post except that I didn’t have much to say about any of them. The Sally Rena novel, like your Kate O’Brien one, was fine but a bit too slow for me! I never know whether I’m going to enjoy Laker or not. I’ve read a couple of her books that I liked very much. Others not so much. I’ve only read two books by Laker – Gilded Splendour was the other one – and I didn’t love either, but thought this was the best of the two. I’ll probably try another one. I haven’t read any of them, but I might give the Sally Rena book a go – as you say it is fairly short and it would fit in with the Read Scotland Challenge. I can’t really say that I loved the Sally Rena book but it was an interesting read and with its Scottish setting it would be perfect for your challenge. I haven’t read any historical fiction lately but this week I will read The Shoes of the Fisherman by Morris West set in the Vatican during the cold war. It wasn’t quite historical then but it is now! That sounds interesting! I haven’t come across that book before, so I’ll have to investigate.